Firefox Nightly users, thanks to the telemetry and crash reports they send to Mozilla, are an amazing help to Firefox developers. The aggregated data sent by our community is extremely useful and allows spotting performance or stability regressions at the earliest stages of development. It probably can’t be emphasized enough how just using Nightly is a great way to get involved in Mozilla. That said, we have in our Nightly community people that also actively hunt and report bugs and regressions and provide us detailed feedback, usually via the opening of a bug report in Bugzilla. These people are our core community, our first line of defense against regressions, they allow us to ship faster and better software and many of them have been involved in Mozilla and Firefox for a long time. “Have you filed a bug?” is something you often hear open source developers say to people that report them some anomaly or regression, and for the majority of our users, this sounds like a complicated process. Just explaining the bug they experience in terms that make the bug report actionable by the developer that will fix it is a skill in itself. And this is where our core community of power-users on Nightly shines, they have this skill. A few days ago, a mozillian from our Spanish community (web developer in an IT company in Spain), sent me an email about a regression he was experiencing at work with nightly in the last days. This is the story I want to tell because it illustrates how powerful community work in open source can be and how lucky Mozilla is to have a dedicated global community. Fernando, or StripTM as we know him in the Mozilla Hispano community, sent me an email about a major performance regression with forms on a page they have on their intranet, clicking in a form field would freeze the browser for seconds, and he wanted to know if I had heard about it. I didn’t so I asked him if there was a way I could see this page. Intranets are tricky, the content there is by definition not public. But StripTM being a Web developer, he emailed me a reduced anonymized version of the page so as that I could test locally if I could see the bug and yes, I was experiencing it as well. Since StripTM is not always comfortable writing bug reports in English, I did it for him and filed bug 1372843 a week ago and attached his test case. I fired up mozregression and found out that the bug was caused by the recent activation of Form Autofill in Nightly (see our article Preview Form Autofill in Firefox Nightly). In a nutshell, the performance problem was caused by the fact that this intranet page had 170(!) forms and our heuristics were cycling through all of the input fields in the page instead of only the ones for the form we had clicked in. 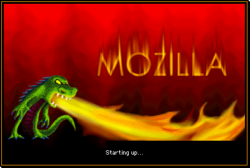 All in all, it took a total of 3 days to discover the performance problem, file a bug and get a patch for it in mozilla-central. This is what happens when you can put passionate and skilled volunteers in contact with our equally passionate and skilled staff! 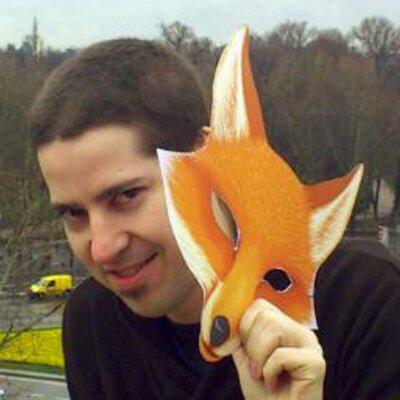 So thank you Fernando for using Nightly all these years and yes, the publishing date of this post is also a way for us to thank you for your involvement in Mozilla and wish you a happy birthday!